The city centre coffee shop with a healthy attitude. Wide range of healthy and clean snacks, including vegan options. All food apart from some snacks are produced in our own kitchens. Ideal for children or adults with allergies. Seating area downstairs plus large spacious family room upstairs to relax in. Book shelf that includes kids books as well as adult books. Free WiFi and charging stations on both floors. If you’re in the city centre with your children stop in for a a healthy snack and relax in the family room. Handily located between the Maritime Museum & Ferens Art Gallery and Queens Gardens. 49 Savile Street, Hull, HU1 3EA. For more info call Jay on 07512319689, email j-jay@j-jays.com or check out their website here. This page is for child friendly places to eat out in Hull. 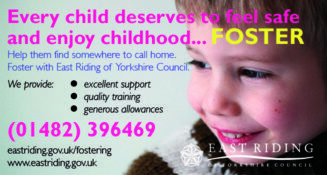 For child friendly places to eat out in the East Riding just change area at the top of this page, or click here. Family and dog friendly cafe serving hot and cold drinks, breakfasts, cakes, sandwiches, toasties, paninis and salads, and a selection of dog themed gifts. Also hosts ‘Tea, Tots & Talk’ on Wednesdays 11am-12.30pm. The cafe is on the right as you enter the library. Very spacious with lots of room for prams, nice settees and atmosphere. High chairs and children’s food/drinks. A good child friendly snack/lunch stop while in the city centre. And You are able to visit the café without entering the library or being a member. Child friendly gallery in the new Fruit Market area. Good cafe on the ground floor serving food and drinks including children’s smoothies. Gallery open Tuesday to Sunday, cafe open every day. Family orientated bar, has a side room which people with babies & families sometimes prefer to use, and also good for larger bookings. Great food. Lovely coffee shop and cafe, very child friendly with children’s games and bean bags. Also run children’s parties, baby showers or other events. They also have a Baby and Me group which also offers breastfeeding support every Tuesday from 12-2. Selling a selection of cakes, biscuits, scones, light lunches, savouries and soups, fair trade tea and coffee, along with loose leaf teas and cold drinks. Breastfeeding friendly, baby change facilities and disabled toilet. Plenty of space for prams. All in the magnificent setting of 700 year old medieval church. Gift shop sells stationery, books, & gifts. Open Tuesday-Saturday: 10am-5pm and Sunday: 1pm – 5pm. Princes Quay Shopping Centre, Hull, HU1 3UJ. Welcoming to families, good children’s menu, colouring/activities for children while food comes. Outdoor seating is available at Princes Quay and Kingswood. The Dock (opposite C4Di), Queen Street, Hull, HU1 1UU. Very good food, good children’s menu, welcoming to families. 147A Scale Lane, Old Town, Hull, HU1 1PS. 01482 210253. Great coffee shop in Old Town, ideal to stop for a snack and drink if you are walking with children from The Deep/Fruit Market area across to the Museums Quarter. Spacious and good selection of snacks, and very good coffee. Pub food and a soft play inside too. Starbucks, Leisure Terrace, St Stephens Shopping Centre, Ferensway, Hull. A breastfeeding friendly coffee shop, and staff are really good with children. Great outdoor play area, has a bouncy castle in the summer. Families with children welcomed, separate eating area away from the Bar if required and 29 tables outside in the better weather. Breastfeeding friendly cafe, serves breakfast, lunch, drinks and coffee. Good for groups, parties and children. Outdoor seating available, walk-ins welcome. The Gold Crest, Plimsol Way, Victoria Dock, Hull, HU9 1PW. 01482 229505. Good food and very welcoming to families. Very good if your child has allergies (recommendation sent in by a parent who’s child has dairy allergies, the pub made a dairy free meal for them). Great kids menu, lots of highchairs, spacious seating area and very child friendly. Free kids breakfast with every paying adult. Kids meal deals & activity packs. Excellent cafe, spacious and very welcoming to families with free parking, baby changing facilities and disabled access. Ideal for a drink and snack after going in the park.